As a fan of Vera Brosgol's Anya's Ghost, I was not surprised to have enjoyed Be Prepared. In fact, I probably enjoyed it even more. 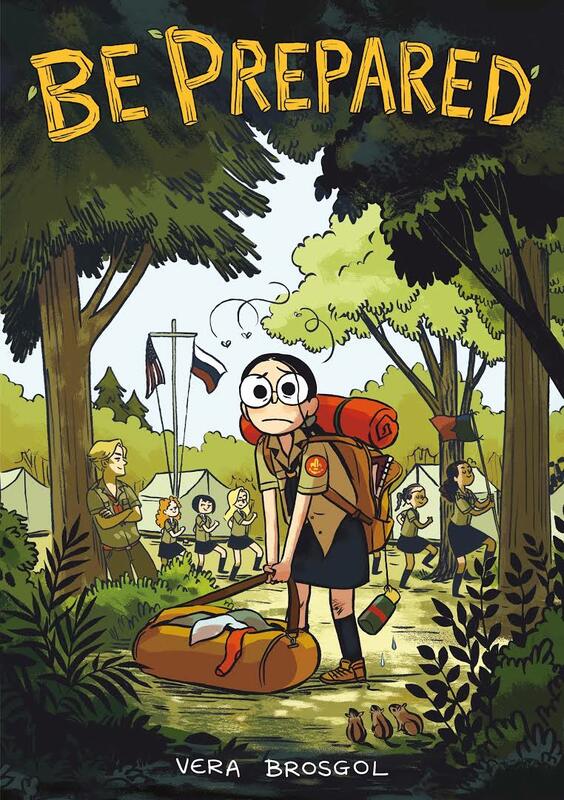 Slightly semi-autobiographical (the main character is named Vera, though Brosgol describes the many liberties she took in an afterword), this graphic novel revolves around a girl's miserable but character-building camp experience. Having been a slightly socially awkward, slightly self-conscious kid myself (still am as an adult), I could relate to this. The key here being slightly. I think it would have been easy for Brosgol to have gone over the top but as it is, I think there's many a great conversation to be had about our insecurities versus our realities. And by containing the misery-angle, Brosgol also left room for more complex characters and even humour. The artwork, as in Anya's Ghost, is stellar. Especially great is the characterization of Vera herself with her oversized eyes. Not only was this one of her insecurities (her too large glasses) but they also play well in capturing her naivete and emotions. The olive colouring by Alec Longstreth may not be everyone's favourite, but for an adult like myself, I thought it gave the book a nostalgic, outdoorsy appeal and reminded me of my old Boy Scout's manual.